Bruce Watchman is a Navajo artist from NM. There is hardly any information on Bruce. 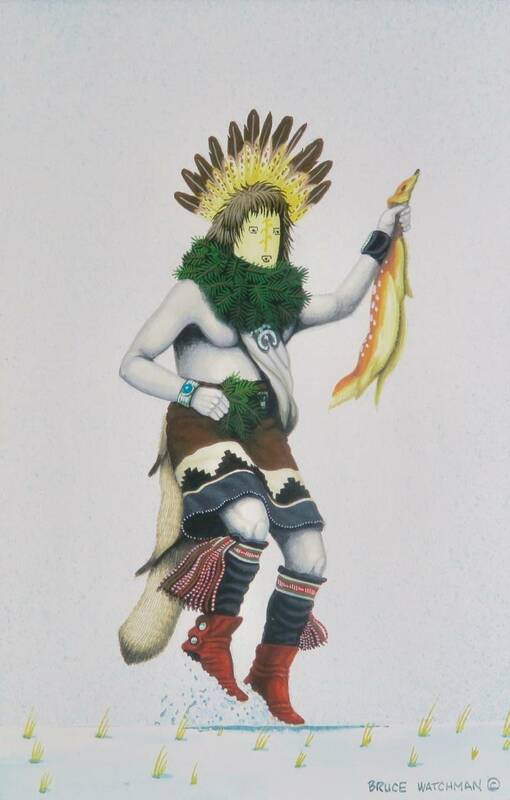 He has exhibited at the Inter-tribal Indian Ceremonial in Gallup NM. Also that he paints Yeis and Hopi kachinas. This painting is in excellent shape. There is no damage to overall painting. A fine painting to add to your collection. 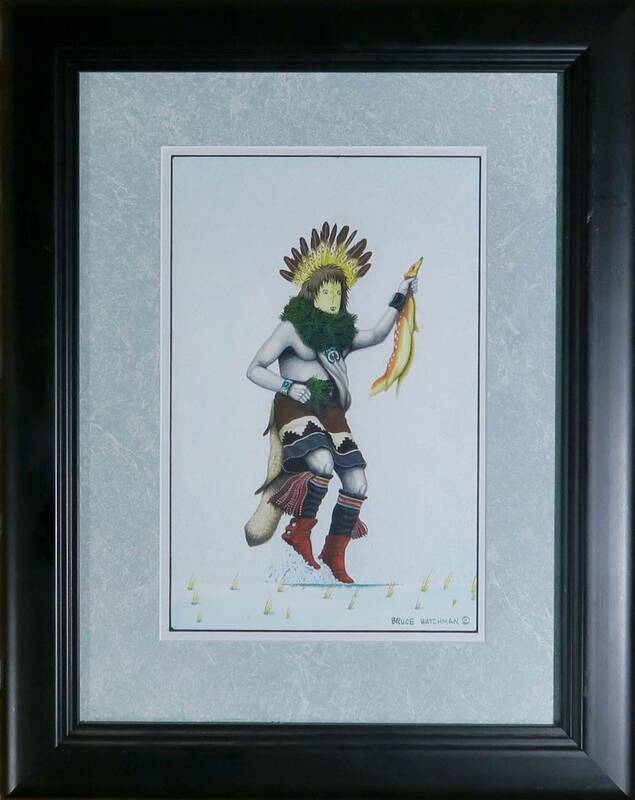 Painting was acquired in 01/2001 from a Mysial Trader in Flagstaff, AZ.